Welcome to Tango Argentino Club in Michigan . We have been providing ArgentineTango teaching and entertainment programs to individuals, and organizations for the last 20 years. 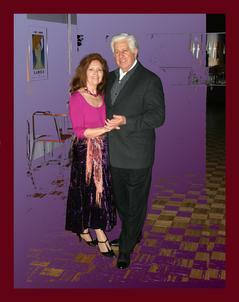 Count on us to have real argentine teaching in all tango styles. Remember: Dedication, simplicity, fidelity, and quality teaching is our standard. We provide first quality teaching and events with native argentine and best local and international artists and teachers. Owners and organizers of Tango Argentino Club in Michigan, both were born and raised in Argentina whereat they got tango into their veins while growing up in their tanguero families and neighborghoods, when tango was the main entertainment of the times. They made their first steps in their early teens while dancing every weekend in the clubs of their native Zárate, Buenos Aires with most of the Golden Age Orquestras live music. They continued learning and finessing their skills and art in tango, later in life, with many renowned teachers some of who are still helping them in their quest for continuous evolution. To promote the knowledge and practice of Argentine Tango and its related art manifestations to provide ways to better the relationship between people while improving quality of life and physical and spiritual well being. We accept, dance and teach all styles. We specialize in Salon Style, with strong emphasis in posture, technique, musicality, feeling, elegance and style refinement.